This year the International Science Conference of the Union of Scientists in Bulgaria was held between the 2nd and the 3rd of June in Stara Zagora (Starozagorski mineralni bani). Our group was presented by the talks of Vanya Stefanova and Bela Vasileva. Both of them presented their recent results in the Section "Biomedical Sciences". 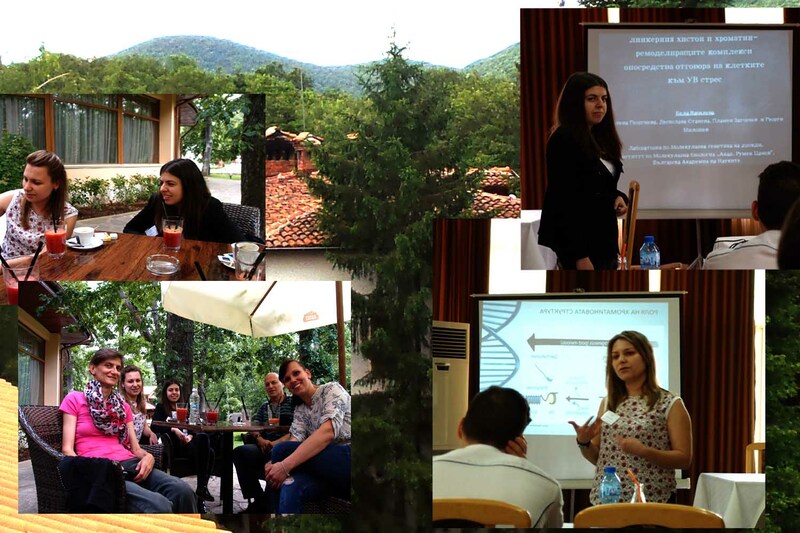 Vanya Stefanova talked about the role of sperm chromatin organization in male fertility. The title of her talk was: "CHROMATIN ORGANIZATION OF HUMAN SPERM AS A MARKER FOR MALE FERTILITY"
Bela Vasileva presented results on our recent findings of the role of chromatin dynamics governed by the interaction among linker histones and chromatin remodeling complexes in cellular response toward UVA-B stress. 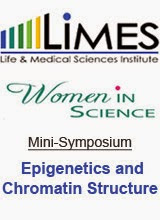 The title of her talk was: " THE INTERACTION BETWEEN THE LINKER HISTONE H1 AND THE CHROMATIN-REMODELLING COMPLEXES IS ESSENTIAL FOR CELLULAR RESPONSE TO STRESS"